Bring dawn all ingredients and reach 20000 points to complete the level. 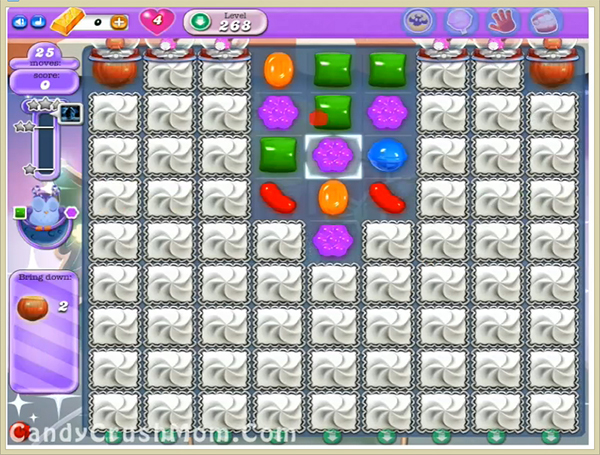 This level have normal difficulty and you need to play with good strategy. For this level first play from bottom and break blockers. Use special candies or combos with balancing the Odus owl. After 10 moves moon will struck that will help to break more candies automatically and you can easily use special candies without worrying of owl. We completed this level with 224420 score using same tricks that we share above and use special combos like striped candy with wrapped candy plus got three star score with using all moves.